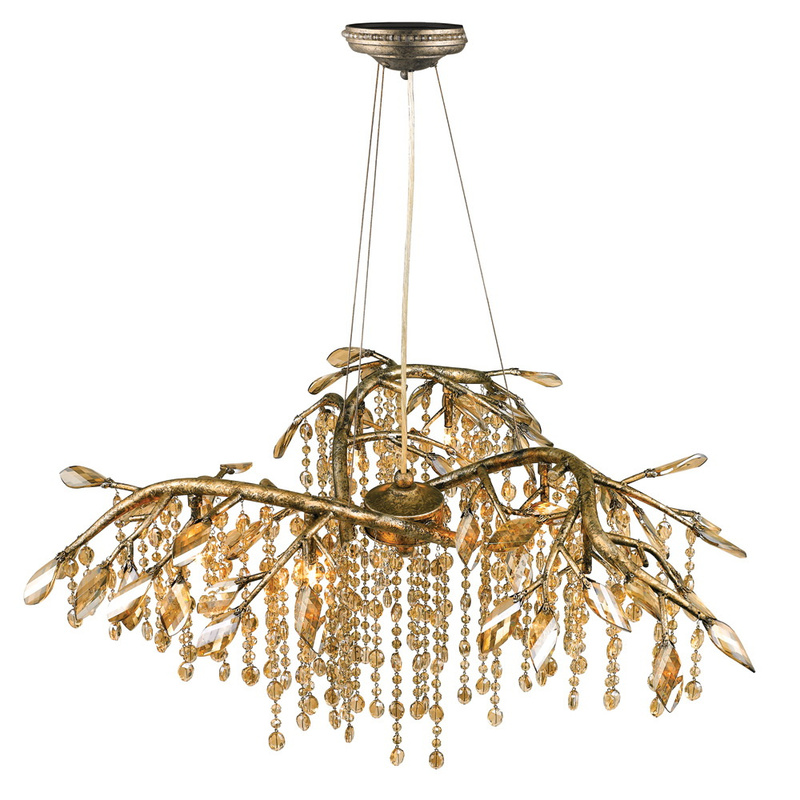 Golden Lighting Autumn Twilight MG Collection 6-Light crystal style chandelier in mystic gold finish, features six 20-Watt type G4 halogen lamps. It measures 31-Inch x 14.25-Inch. This chandelier has steel sculpted branches and comes with cascading faceted crystals to create the illusion of a dewy forest canopy. It comes with 8-ft cable and 10-ft lead wire for easy installation. This chandelier is ideal for kitchen, foyer, living and dining room. Chandelier is UL/cUL listed.